E-commerce gives us an opportunity to buy anything from almost anywhere. Here we are trying to analyse the prices on various websites for the same product. We feel that the behavior of majority buyer is influenced by the first option came to them and E-Commerce website do really good marketing via advertisement, affiliates, EMail newsletters and all. And sometimes you purchase a stuff by just looking at the offer and later you realize that if you have spent a little more time to compare the prices at various sources you might got better deal. And we always look (and why not) for the best value of our money. 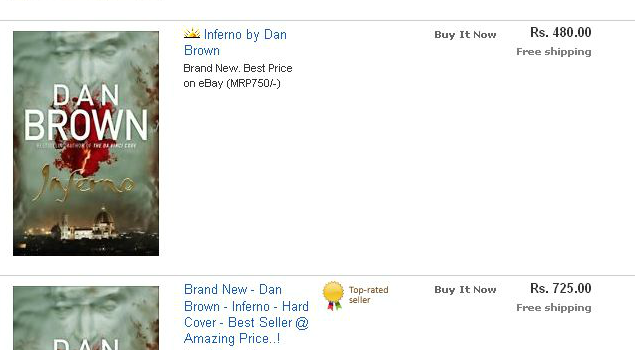 We have decided to take a case study on hand, by checking the price of recently released book – Inferno – by famous author Dan Brown – on various website offering the product over India. Being the largest (so far) International E-Commerce in India, EBay is having probably the best reputation for both sellers and customers. You can search for a product, compare the price for the same amongst multiple sellers and product variations. They show the other varieties of the product inline, and you can explore them. This site is an Amazon venture. Started with 200 sellers, it now offers products from 1000 sellers. So you can expect more offers and comparison options here. 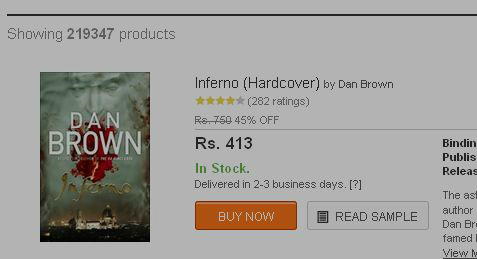 It was one of the initial bookstores in Indian market (along with crossword), now they are selling more than just books. Launched as a daily and local deals website, it is now a full E-commerce website. This is one of the largest players in Indian Marketplace. Now they offer a large variety of products. Over the time though their product offer price gets a little higher. As it is just launched in Indian marketplace, there can be more offers to expect here. When started it was a bookstore, now it is a portal offering more products. Also we miss the huge discount they offer earlier. 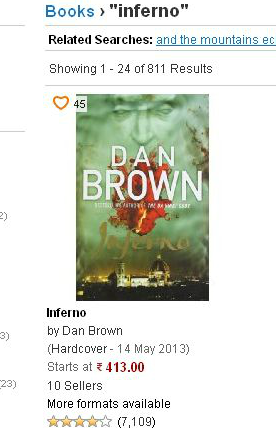 Once there was a time when the books were found cheapest here (and that with free shipping). Well, the results may be different for different product and the site offering the best deal for one product is not necessarily providing the best deal for the other. Also the prices may change over time, so you may expect different price tomorrow then today. So it is always advisable to check through before you make a purchase. 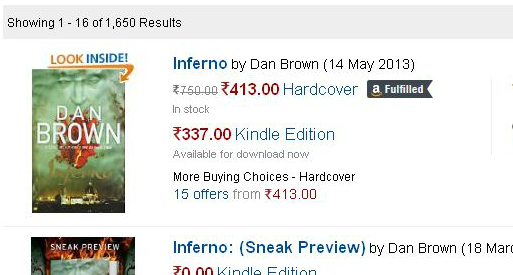 Amazon and Junglee are one of the best options to compare prices, because they are showcasing the books from various sellers. EBay doesn’t offer that much varieties for books especially, but otherwise, it is also good place find offers. SnapDeal one of the deals oriented website in India became an online store now, otherwise it was giving you daily deals. We suggest that if you are not in much hurry to buy the product, then observe for few days on various websites, in case your desired product appear as a part of daily or promotional deal at any of these (or other) website, you may even save more. We also think that you should not pay much attention on MRP and hence the discount offered (this is how some websites/stores attract the customers). We believe that the most important thing is the purchase price and authenticity of the product. Please make sure to know the exact shipping cost and consider it as an addition to product purchase price, because you are ultimately going to pay that amount for your product. Do remember that the seller’s rating and product’s rating both are different and both have its own effect. Make sure before you make a purchase. Do let us know your feedback and experience via comments below.